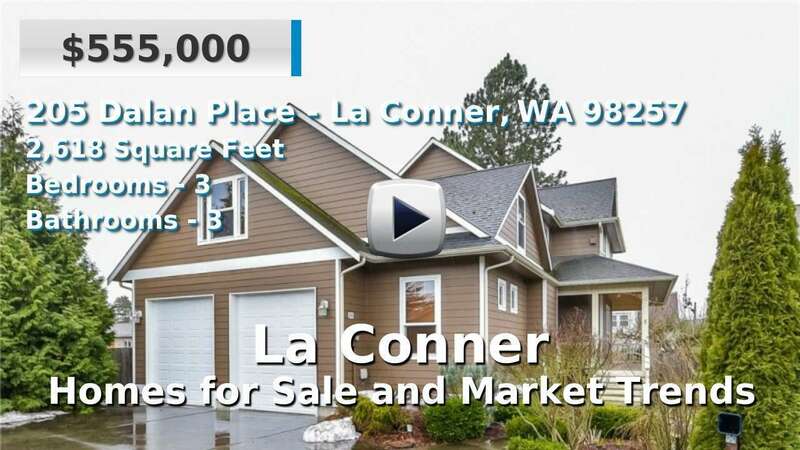 La Conner is a small town on the mouth of the Skagit River where it meets Skagit Bay in the north Puget Sound region. The town also sits on the Swinomish Channel which separates mainland Washington from the Swinomish Reservation. La Conner is connected by bridge to Fidalgo Island, which in turn connects to the northern end of Whidbey Island via Deception Pass. This town has less than 900 residents and offers a rural, waterfront community just 10 miles outside Skagit County's largest city of Mount Vernon. Homes for sale here are slightly newer than average, and the town is growing slowly but steadily. It is known as one of the main hosts of the Skagit Valley Tulip Festival and its very own Daffodil Festival. 5 Beds | 5.25 Baths | 6575 sq. Ft.
3 Beds | 2.75 Baths | 2656 sq. Ft.
3 Beds | 2.5 Baths | 2470 sq. Ft.
3 Beds | 1.75 Baths | 2002 sq. Ft.
3 Beds | 5.25 Baths | 7353 sq. Ft.
1 Beds | 2 Baths | 1991 sq. Ft.
Small wooded lot. Lot cert on file. Soil test done for septic. House would need water catchment system to be viable residence. Fee simple land.